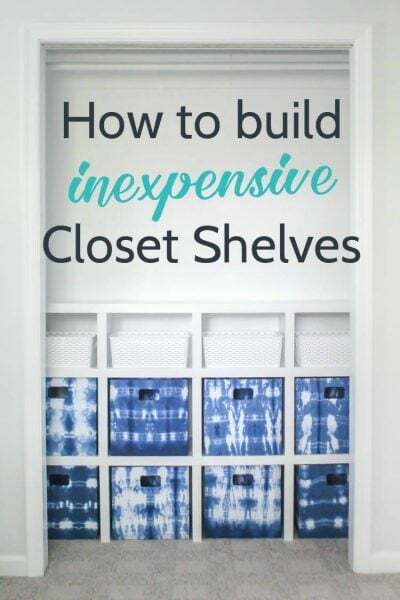 How to build cheap and easy DIY closet shelves - Lovely Etc. 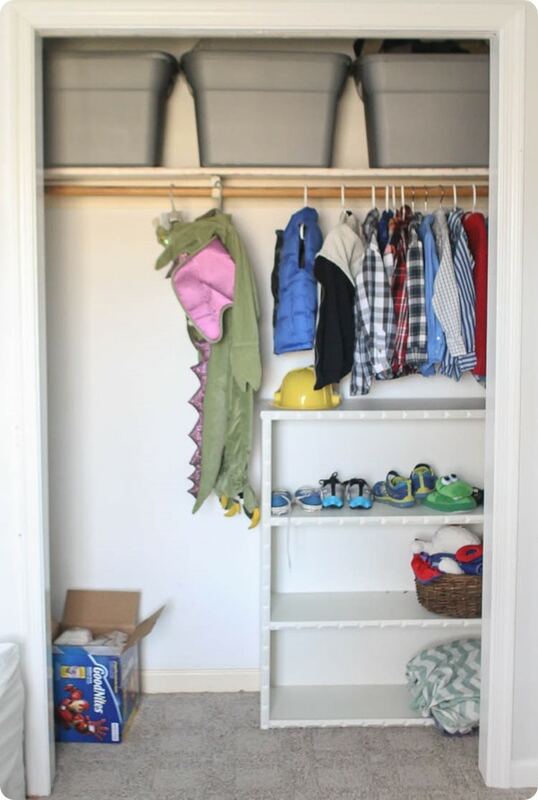 My sons’ closet is finished and I have never been so excited about a closet before! The closets in our house aren’t anything to write home about; all of our bedroom closets are standard double closets with sliding doors. 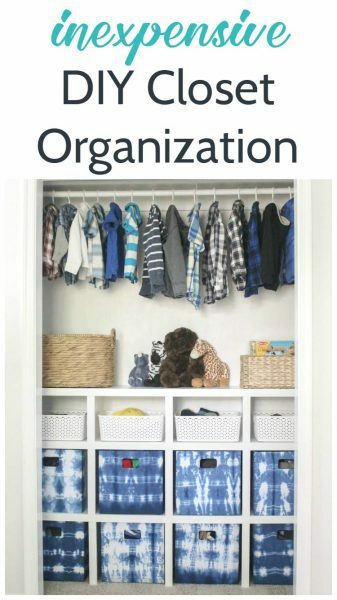 When I started planning how to make this room work as a shared bedroom for both of my sons, I knew there needed to be way more useable storage in the closet to hold all of their stuff. 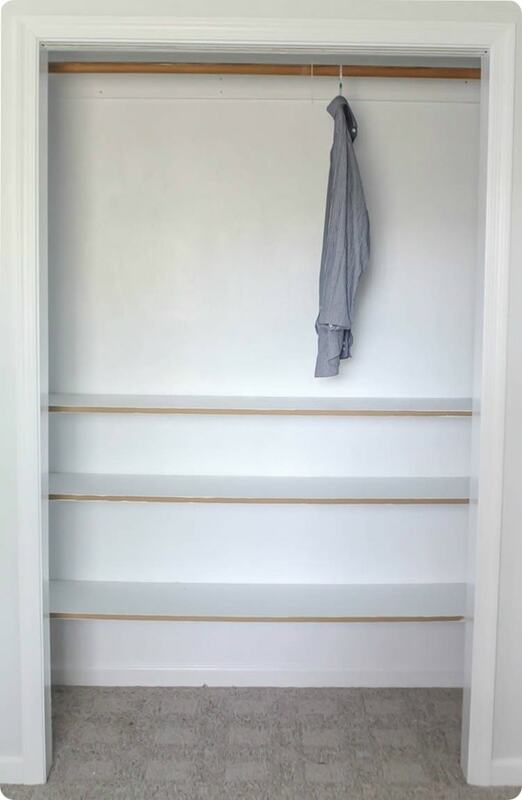 So I designed and built custom DIY closet shelves, gave everything a fresh coat of paint, and now it is perfect! For those who are new here, I am in the middle of a complete redo of my sons’ bedroom. 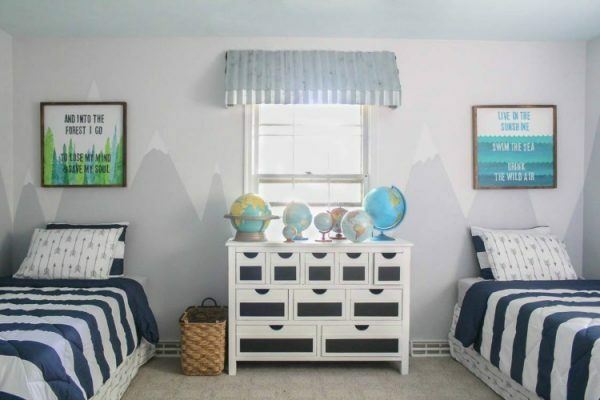 I am transforming my 4 year old’s bedroom into a shared room for both him and his 2 year old brother. (Because baby boy #3 is coming this summer!) 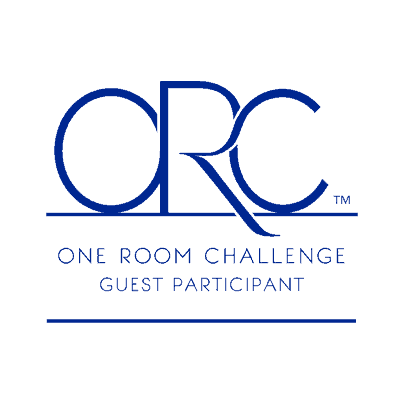 I am tackling this room as part of the One Room Challenge hosted by Calling it Home. So what makes it a challenge? The whole thing has to be finished in only six weeks! Yikes! We are already at week four and thankfully, plenty of progress has been made in the room. But today is all about the closet! This is how the closet looked before. One bar for hanging clothes and one high shelf. Plus a small bookcase I stuck in there to add a bit more storage. Not a great closet for anyone, but considering how few hanging clothes my son has, it was basically just one huge waste of space! I knew I wanted to create my own custom closet system. That way I could configure it exactly how I want – plus it would be way cheaper! When I started figuring out the design, I tried to keep several things in mind. 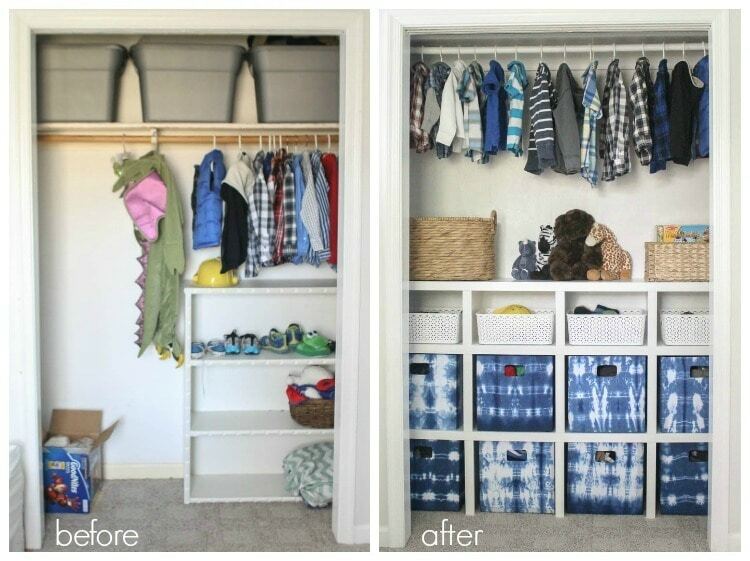 It needed to have lots of shelf space for storing toys, shoes, clothes, etc. and my two and four year olds needed to be able to reach as many of the shelves as possible. (I definitely want to encourage them getting out and putting away their own clothing!) On the other hand, I also wanted it to still make sense several years down the road when they are a bit older. So the area for hanging clothes had to big enough to fit full grown man clothing. Also, since this is a closet with sliding doors, you can only access one half of the closet at a time. So whatever built-ins I created needed to make sense with only one door open at a time. I came up with a few ideas and then used painters tape to see how they would actually work in the closet. In the end I decided the design on the far right above was the winner. 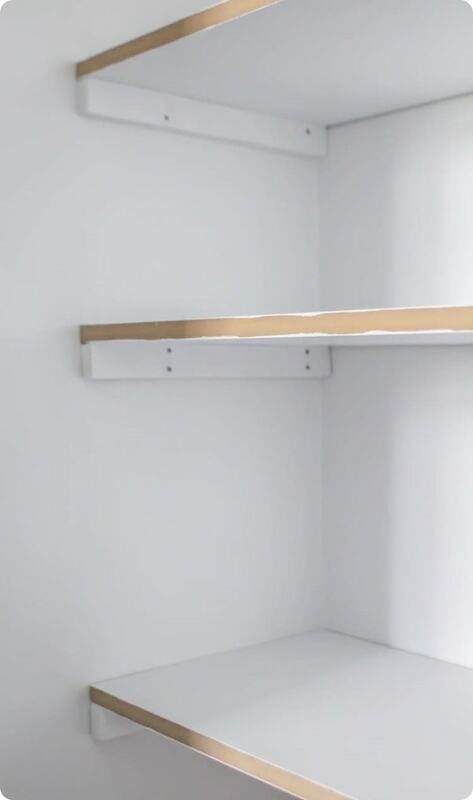 There were plenty of low shelves/cubbies for storing all kinds of stuff, a long hanging bar, and a high shelf above it to use absolutely all of the vertical space. The boys won’t be able to reach the clothes that are hanging up for quite some time, but almost none of their everyday clothing needs to be hung up, so that wasn’t a deal breaker. Then I got to work on my DIY closet shelves! First step, remove everything that was already in the closet including the closet rod, shelf, and shelf supports that were there before. I patched up the nail holes with spackle and then gave the whole closet including trim a fresh coat of white paint. To keep things simple, I reinstalled the same shelf and curtain rod that were there before much higher in the closet. 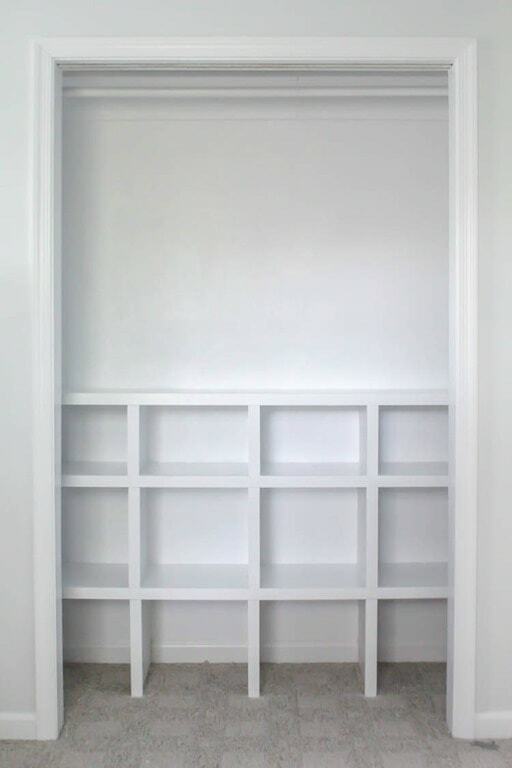 I built the rest of the shelves using MDF. This was actually my first time using MDF instead of plywood and it was perfect. I chose it because it was quite a bit cheaper, but I also love that it is easy to cut and the surface is incredibly smooth. To build the cubbies, first you need to build three simple shelves spanning the closet. Attaching the shelves to the wall is easy. All you need are some inexpensive 1×2 boards. Nail each support into the studs on each side wall of the closet and then set the shelf boards in place. 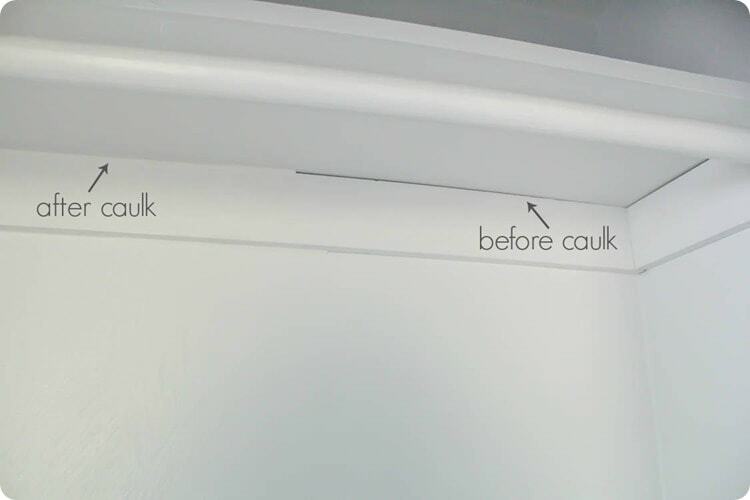 (Be sure to use a level when hanging your shelves!) Personally, I think it is much easier and faster to paint all of the pieces before installing them. You still need to do a quick paint touch up at the end, but painting each piece is so much faster than trying to maneuver in all of those tight corners. 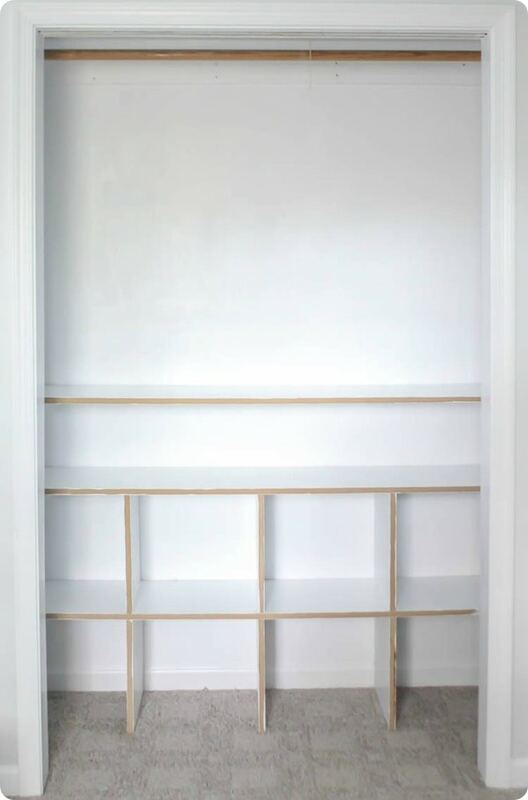 If you were building simple shelves, you would also need to add wood supports along the back wall of the closet. But because we are building cubbies, there will be plenty of vertical support, so that isn’t necessary. To create the cubby dividers, cut more MDF to the size you need. (I used 14”x14”). To install them, I started on the bottom and nailed a few nails through the shelf above to secure the divider. Then I added the middle row of cubbie dividers and the top row the same way. Then I added the poplar facing. This is completely optional but gives the whole thing such a great, finished look. The process was pretty similar. 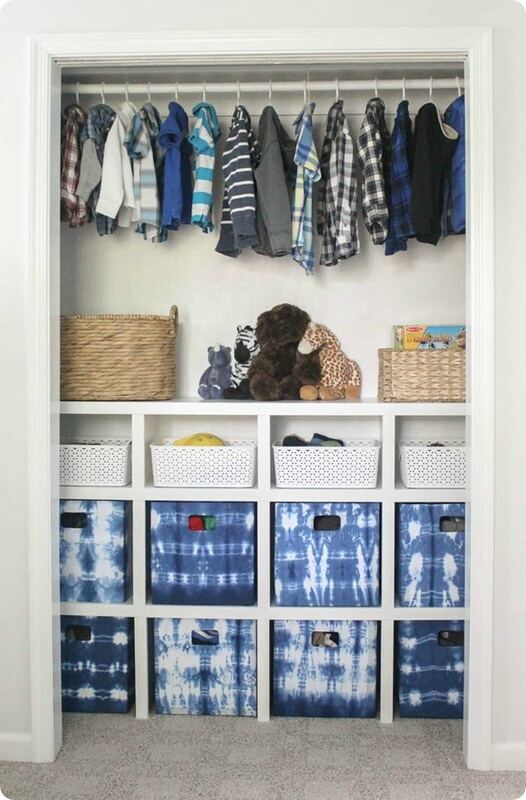 I added long strips of poplar to the front of each horizontal shelf and then smaller pieces to each cubbie divider. All you need are a few finishing nails to hold each board in place. Seriously, that small detail makes such a difference! And then I added the DIY fabric storage cubes I shared last week as well as a few white plastic baskets I picked up at Target. And finally, I filled up the closet with all of the boys’ things. 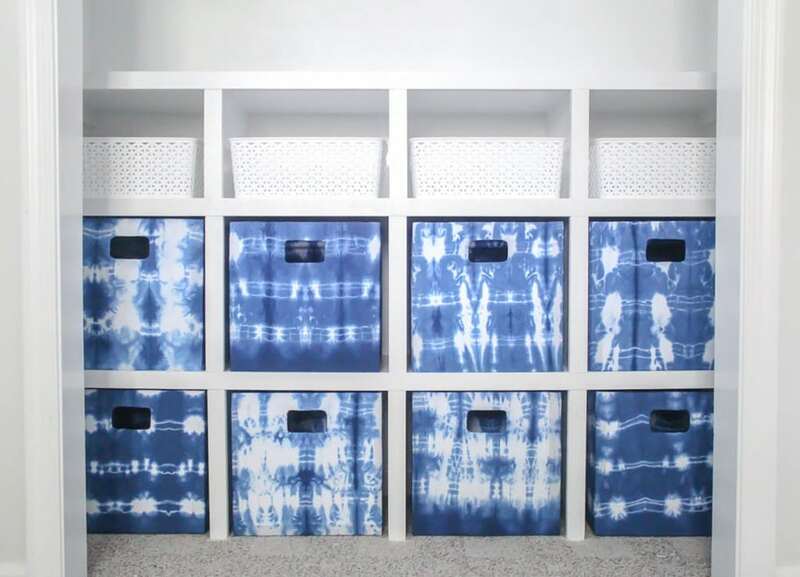 There are clothes in all of the fabric bins, shoes and accessories in the plastic bins, a large basket to toss clothes in as they outgrow them (on the left), a basket full of puzzles (on the right), and storage on the high shelf for clothes in the upcoming size. What a change! There is so much less wasted space now, plus it is gorgeous! I was planning to do something to update the blah sliding doors, but now I’m considering the possibility of simply leaving the doors off altogether. It would make it easier for the boys to access their own stuff and the closet looks so cute now! My only hesitation is I have to wonder how messy it will end up looking when they are using it on a daily basis. I would like to think it will always look this neat, but I know if there is any way to mess it up, they will find it! In any case, I am thrilled to mark the closet off the to-do list! I also painted the rest of the mountains of the wall this week and came up with a new and better plan for the nightstand situation. Here’s to progress! And here are all of the other posts about this makeover in case you missed something! it is looking so good! love those cubbies! Thank you Susie! I am so excited about how everything is coming together! holy crap, it looks incredible!! Seriously, all the love for that fabric too. Thanks Ashley! That fabric really is awesome, especially for the price! Could you go into more detail on how you created the thick shelf look? I see you used poplar but I understand you made it look thick and carried that through to the back wall. Yes, I can see how that part is confusing! I should probably take a few more close up pictures. The thicker facing is only on the front of the shelves – it doesn’t go all the way to the back wall. I used 1×2 boards and attached them across the front of each long shelf. The top of the boards are lined up with the top of the shelf but hang down a bit past where the actual shelf board is. Then I attached more 1x2s to the fronts of the smaller cubby dividers. So the whole front facing of everything is thicker but the wood behind is as it appears in the previous pics. When looking at the closet, you can’t tell the actual shelves aren’t as thick as they appear unless you look very, very closely. Very smart. Thanks for the details! I thought about doubling up all the wood to increase thickness but this is much cheaper. 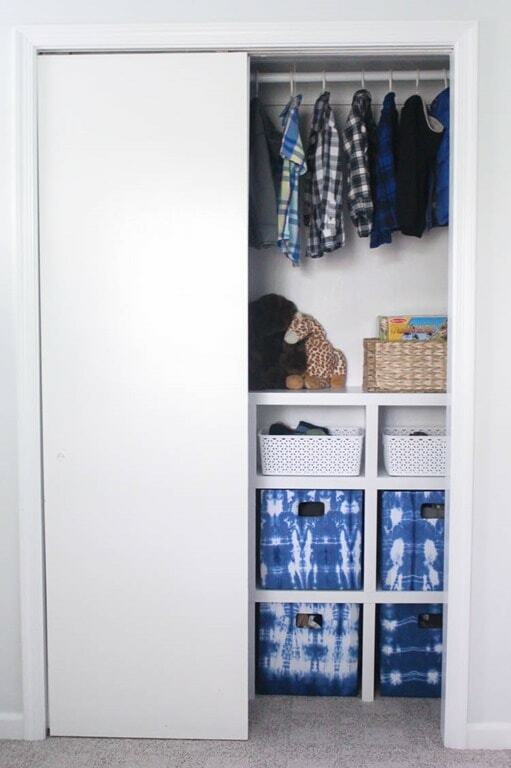 The exterior cubbies look like they would be a bit difficult to come out all the way or even a bit slightly out. is that true or is the picture not showing it properly? Cedric, You are right – the far cubbies don’t slide out the whole way. They each slide out about 8 inches which is plenty to put in and remove clothes, but could be a problem for something larger like big toys. 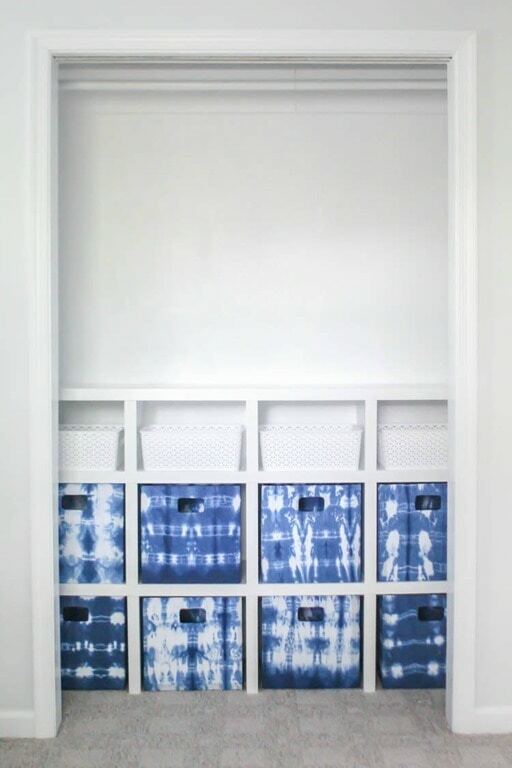 Most fabric cubbies you can buy are collapsible and I made these outer cubbies to be collapsible as well so installing and removing them isn’t a problem. 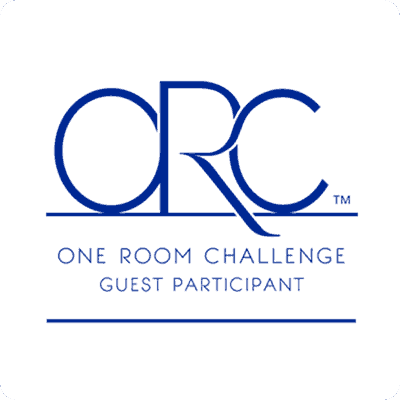 Could you give a cost estimate? I’m looking at something for my son’s small room but can’t spend a lot at the moment. Hi Diana, It has been about a year since I built these so I don’t remember the exact cost but I believe it was around fifty dollars, maybe a little bit more. I hope that helps! Hi Jimmy, Great question. I nailed a couple of small nails into the vertical supports from the shelf above and that has been plenty to keep them in place. They were a pretty secure fit even without that, but I wanted to be thorough, especially since these are in a kid’s room. I haven’t had any trouble with them since I built them a year and a half ago. I’m sorry, I don’t have a video. I wish I did but it is hard to make a video as you are in the middle of completing projects. Once the horizontal shelves were in place, I cut the wood to divide them into squares – this wood simply slides into place between the horizontal supports. I added the three supports in the bottom row first. Then I held them in place as I nailed a few nails through the first shelf into those supports. Then I did the same thing for the next levels. I hope that helps. It may be hard to picture but I think it will be clear once you begin the process and have the actual materials on hand.